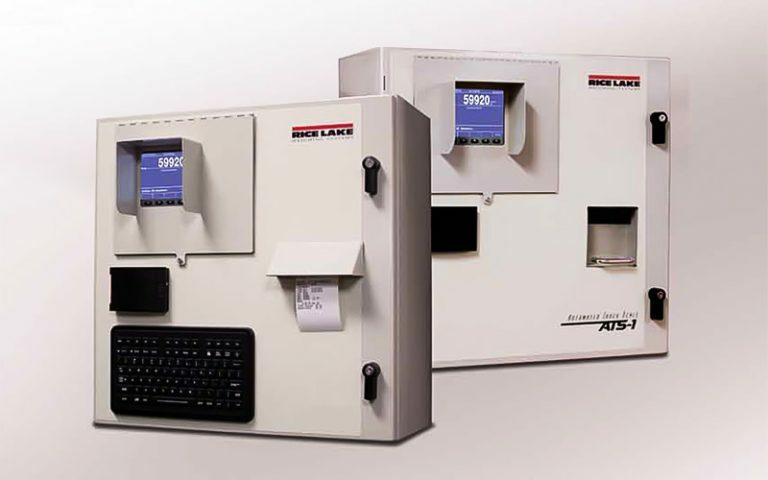 Rice Lake Weighing Systems’ Automated Ticketing Kiosks are ideal for a variety of plant operations. Rice Lake’s powerful Automated Ticketing Kiosk System increases efficiencies and optimizes the flow of trucks in and out of your plant. This unique solution virtually eliminates transaction errors by automating everything from the point of sale to account management. With a user-friendly interface, these kiosks seamlessly integrate with any size facility’s central office and accounting systems. Built with rugged NEMA 4 steel for long-lasting durability, this unique solution supports automatic identification of trucks and fully automated or semi-unattended ticketing.